The path to your new home involves a lot of activity. 25% of the journey is to find a home that best suits you. 75% of the journey is to get the property to the closing table. This path may help you understand the proper steps to take in your home purchase. Buying a home is probably the biggest financial investment you'll ever make. It's not just a dollars-and-cents investment; it's an investment in your life. It creates a sense of stability and identity for you and your family. 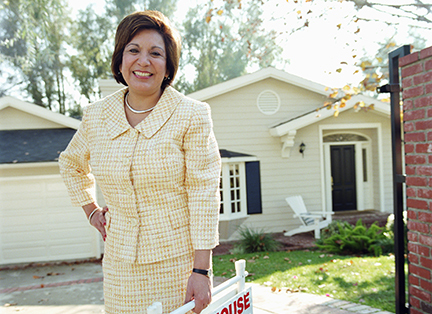 Regardless of how times change, owning a home remains the cornerstone of the American dream. Is it time for a different home? Do you need more space for a growing family? Do you need less space now that the kids are grown? Do you want to travel and not worry about keeping up a yard? Is it time to stop renting and to buy your own home? 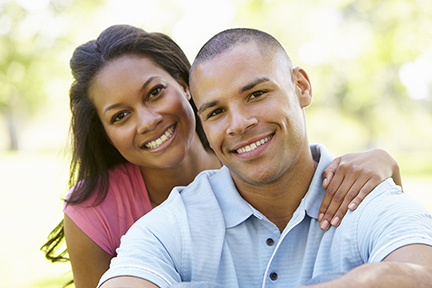 Do you have the financial resources to purchase a new home? When the benefits of owning a home align with your current lifestyle, we ask you to begin your home buying process with Semonin Realtors. 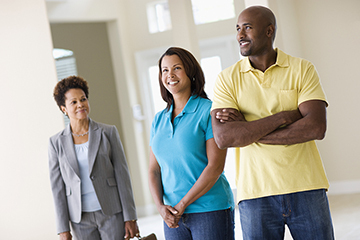 Let our real estate agents make your home buying process easier and fun. If you need information about real estate, Semonin is the right company. We have hundreds of knowledgeable agents ready to help with any question you have about buying real estate property. Our website has many different ways to search for homes currently on the market, and offers resources and market statistics to better understand the current market conditions. Let Semonin be the place for your information needs. Search for virtually any home in Kentuckiana. All brokerage offered real estate listings in our marketplace appear on this website when sellers desire their homes to be viewed on the internet. We are a total inventory brokerage company. Below are some of the search methods available. Use our quick search feature. Search by address, county, street number, street name, zip code, or MLS number. Narrow your search with your preferred parameters - Price, size, specific features, school district, and so much more! Create your own personal Property Watch account to save your search criteria, favorite properties, receive e-mail alerts and more. When you are a serious buyer you need to get serious about financing the purchase of a new home. You may be able to pay cash and not worry about a mortgage. Most people are not able to do this. The sooner you meet with a mortgage lender, the sooner you will feel confident about making offers on homes that match your lifestyle and meet your financial parameters. Educate yourself about how much you can afford. Mortgage consultants can look at your income and finances and provide you with knowledge to move forward with confidence. You may need to spruce up your credit rating by paying off some items. You may have something appear on your credit report that you were completely unaware was there. Mortgage consultants can help you prepare your finances so when the time comes to make an offer on the house you really want, you can sign with confidence. As a full service brokerage, Semonin Realtors® has in-house mortgage lenders ready and willing to help you with your home financing needs. HomeServices Lending mortgage consultants are located in every Semonin sales office for your convenience. When you are ready to buy, we are ready to help. 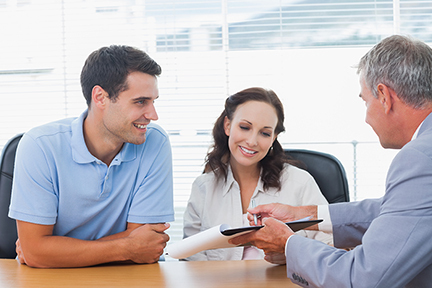 It makes sense to connect with a Semonin agent that is trained to represent you in the buying process. Your Semonin agent will help your home search go more smoothly by using their experience to find information on properties, communicate with the listing agent, and help negotiate the purchase contract. Why not get assistance early in the process? Get the most value and start working with one of our agents as soon as you can. Did you know the seller pays the commission for both the buyer's agent and the seller's agent? The real estate commission is paid to the listing company which then pays the buyer's agent's company at closing. Semonin agents are ready, willing and able to assist you in finding your next home or parcel of land. There are many choices to make when you are looking for a new home. Some of the first choices involve finding information. Websites are great but real estate agents are even better. They know things that do not show up on websites. When you are working with a Semonin agent, they can look out for those extra special features you desire, want or need. Our agents can set up search criteria in our real estate systems to keep you updated and make appointments with listing agents to get you into the houses for a showing. Semonin agents working with buyers can work with any real estate agent in the marketplace. We can help you see any home listed by one of our Semonin agents or any other agent. At some point, maybe after seeing just two homes or maybe after many home visits, you will find the home or land parcel that fits your lifestyle and your finances. At this point, you make an offer to the seller. When you work with a Semonin agent, we are right there with you to create the offer to purchase. We help you negotiate the terms and conditions you would like to make in the offer. In most anything we do each day there is nothing like experience. We know you do not buy homes everyday. The thing is... Semonin does buy and sell homes most every day. Let our hundreds of agents and thousands of hours of experience work for you. Most of the time an offer to purchase will involve a home inspection. Just think about the average house and all the items behind walls, up in attics, and down in crawl spaces. Your dream home may pass with flying colors but many times the inspectors recommend repairs or adjustments. 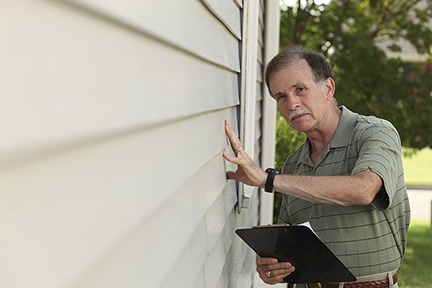 If your offer to purchase states it is based upon a home inspection, repairs might need to be made. You also have counter offers from the seller to review. They may not like the price you offered and ask for more. They may not want to leave the washer and dryer behind. Negotiations are what REALTORS® do every day. Semonin agents work with many different groups of people to keep the home buying process moving. If you have not thought about a home warranty on your home purchase now is a good time. A Semonin agent will discuss the home warranty when you make an offer. Sometimes the seller has purchased a home warranty and offers it with the sale of the home. The warranties come in different varieties and are offered by different companies. Just know this is a good item to have in your possession when you purchase a new home. 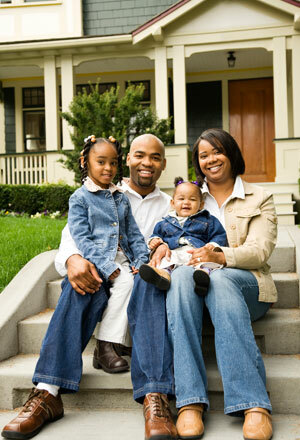 Home insurance is very important to protect your investment. If your home is getting bigger, your policy should grow with the size of your home. You also want to review the value placed on the contents of your home. At some point in your future you will close on the home where you meet with the seller(s), attorney, and real estate agents. You will have lots of paperwork to sign; after the closing, remember to keep all those papers in a place you can find later. You will need them for home warranty issues and for filing taxes in some cases. After the closing, you get to move into your new place. Remember to contact the utility companies, post office, friends and family, and all the individuals and entities that knew you by your old address.